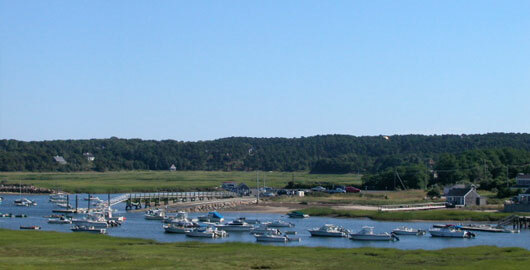 When you call 3Harbors to list your Cape Cod property, we come as a team to visit you and your home. And it’s as a team that we discuss what makes your home special and how to promote those things and what detracts from it and how best to minimize them. We will also discuss price and your own motivation to sell, as well as the current state of the market. The culmination of this will be the presentation of a Comparative Market Analysis (often referred to as a CMA) which will outline our pricing and marketing strategies. Once any recommended improvements have been made we will have the property photographed. Immediately post a full description of your property in the Multiple Listing Service, the information center for the real estate brokerage community. The property will be previewed on our own local web site which is linked to a host of real estate search engines, including Realtor.com, Trulia and Zillow. Try out a search on any of these sites for the towns we serve and see how 3Harbors stands out! With your approval, place signs on the property. Advertise your property in the appropriate local publications, including the Banner and The Real Estate Book. Personally show the property to prospective buyers by appointment, (unlike some offices, we don’t use key boxes, so you’re always assured that strangers are not in your home unaccompanied). Be available to preview the property to other real estate agents. Keep you regularly informed of the responses from prospective buyers. Send you a copy of all advertising for the property. Use all available promotional materials to ensure maximum exposure to potential buyers. Provide regular updates on comparable properties in the area that are placed on the market and/or sold. Finding a buyer for a property is only half of the job. The mark of a real estate agent’s true success is ensuring that the deal progresses as close to plan as possible and that bumps in the road are kept to a minimum. All too often a deal can fall apart because of the inattention of the real estate agent. We pride ourselves on our negotiation skills and ability to foresee and address issues before they arise and our office works as a team to ensure that a deal makes it to the closing table. For more information about listing with us, contact one of our highly specialized agents or by using the contact form on the right side of the page. We look forward to working with you!